In Indian mythology, especially in times of Mahabharat and The Ramayana, we find many interesting stories related to boons. These boons were awarded by gods and sages to their devotees. The devotees performed penance so that they can be granted boons. Following are the narratives of some of the famous boons. It is believed that Ashwaththama had a boon from his father Drona, that he would not die. Another account say that he was cursed by Shri Krishna to live in seclusion till the end of Kalyuga. This is because he targeted Parikshit in an attempt to render the Pandavas heirless. Bhishma had a similar boon to choose his own death. 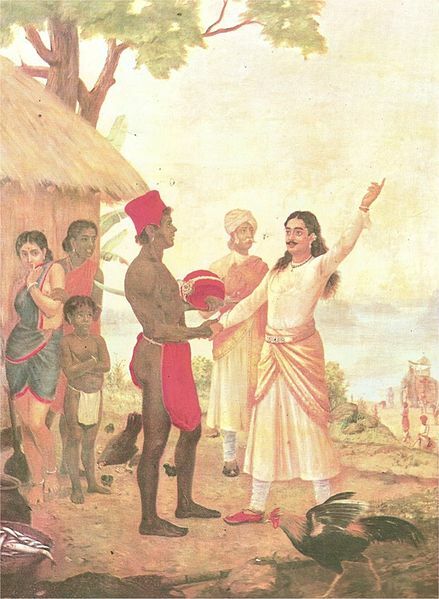 His father Shantanu bestowed this boon to him after he declared that he will never marry, so that Satyavati’s sons can become the ruler of the kingdom. Before that, he also forgone the throne, which was rightfully his. Kumbhakarna pleased Brahma and intended to ask the throne of Indra as a boon. But Indra asked Saraswati to help him. 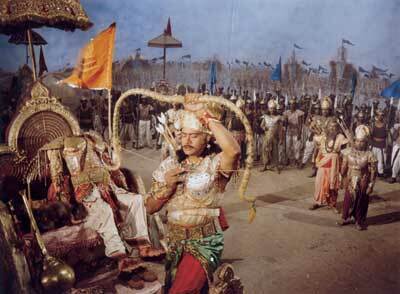 So instead of asking “Indraasana” (seat of Indra), he asked for “Nidraasana” (bed for sleeping). It is also said he intended to ask for Nirdevatvam (annihilation of the Devas), and instead asked for Nidravatvam (sleep). His request was granted. But his brother Ravana asked Brahma to undo this boon as it was in reality a curse. So Kumbhakarna slept, and was awake for six months, when he ate everything in the vicinity, including humans. Satyavati, the mother of author of Mahabharat, Ved Vyasa smelled like a fish. Sage Parashar saw her once and got smitten by her beauty and proposed her. Satyavati put forth couple of conditions, one of them was that she should get rid of the smell from her body. Parashar told her that this would be fulfilled and instead of the smell, a fragrance will emanate from her body which can be sensed miles away. Vyasa boon to Gandhari for hundred sons. Ved vyasa has told Gandhari that she would be a mother of hundred sons. These sons were born from a lump of mass which gandhari gave birth to after pregnancy of two years. Ved Vyasa cut them into pieces and put them into jars. With time they came out as sons of gandhari thus making his boon true. Vali was famous for the boon from lord Shiva, according to which anyone who came before him lost half his strength to Vali, thereby making Vali invulnerable to any enemy. Once Ravana called Vali for a fight when Vali was doing his regular Sandhyavandanam. He took Ravana in his tail and took him around all the world. 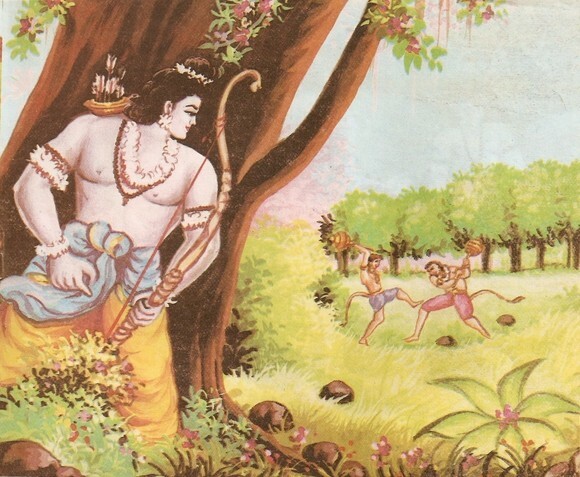 He was killed by Rama, when Sugriva was fighting with him. Bhasmasur obtained a boon from Lord Shiva that anything will turn into ashes, if he put his hand. He tried to test his boon on Lord Shiva only. Lord Vishnu came to his rescue and saved Lord Shiva from Bhasmasur. If Sachin does not get to the hundred mark? never knew that Kumbhkarna was tricked in the period of The Ramayana. Feanor: I’m not sure if the “Du” (or “Dur”) prefix was oiaginrlly meant to suggest negativity, but yes, I am confused about the whole Suyodhan/Duryodhan business. (Incidentally Ekta Kapoor’s Mahabharat treated it as an Anakin/Darth Vader thing: he’s oiaginrlly a sweet-natured boy called Suyodhan but then transforms into Duryodhan when hatred and unrest enter his mind! )See, if you look at “Vyasa’s Mahabharat” (whatever that means – the original version Jaya or the later Bharata or Mahabharat as it is today), the Kauravas are the antagonists – even in the earliest versions where Krishna isn’t a divine figure who’s puppet-mastering a Good-vs-Evil battle. But there’s enough there for the reader to be able to see shades and complexities in the characters. 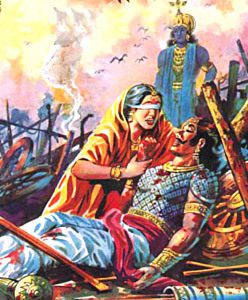 This is what many of the modern translators have done – see for instance Kamala Subramanian’s sympathetic portrayal of Duryodhana as a tragic Shakespearean figure with one fatal flaw. The point is that the original text is so rich that there’s plenty of scope for extrapolation of this sort. Duryodhan is too skillful a warrior to fight with.